Ronald Sieber received an undergraduate Bachelor of Arts degree in English and Psychology from the University of Rochester in 1970. He worked as an elementary teacher and tutor in the Rochester, New York City School District after graduation. Returning to graduate school in 1972, Ronald attended the State University at Brockport for studies in Curriculum and Instruction, with a concentration in Reading. After leaving for a teaching post in St. Thomas, U.S. Virgin Islands, he finished his research on sexism in American elementary reading textbooks and received his degree of Master of Science in Education in 1974. While in the Virgin Islands for four years, Ronald served as a reading specialist in school reading labs both at the elementary and junior high level. Ronald relocated to the Durham, North Carolina area in 1976 and served as an elementary reading specialist for Person County Schools from 1976-1979. He attended classes at UNC-Chapel Hill to become certified in gifted education, and then began his nine-year tenure for Durham City Schools as an elementary and middle school educator of the gifted. While in this itinerant position, Ronald was responsible for designing and setting up programs at individual school sites. He taught the gifted students at these school sites in collaboration with their classroom teachers, using a variety of techniques and a process approach. Most classes were small in size and project-oriented. He was also responsible for testing, maintaining records, and meeting with parents concerning the needs and progress of the children. At this time Ronald was a member of the North Carolina Association of Educators and a founding member of the Durham Mathematics Council. The latter was a granted program that served as a support group for Durham City and County math teachers. It had a library of materials available for loan. It provided grants to teachers for materials and meetings. It served as an advocacy group for the latest in teaching techniques and technology, and held regular workshops and teacher collaborative meetings to train and share with the math teacher population of Durham. As a steering committee member, Ronald served as his school site representative, planned for meetings and materials, and gave training sessions to colleagues in techniques and technology. 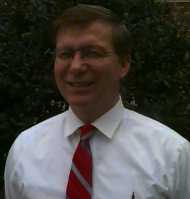 Ronald accepted a position of middle school Algebra and advanced math instruction at Neal Middle School for Durham County (now Durham Public) Schools in 1988. He has worked at the 7th and 8th grade level in this capacity until his leave of absence this year to pursue a Doctorate of Education. Beside teaching, Ronald has worked on several in-school committees advocating curricular reform and school improvement, and has helped start the Comer School implementation now being used at Neal. Ronald's goals in educational leadership include fostering open lines of parent involvement, closer ties with the business community, and skill-based curricula that give students firm ground upon which to build ideas of successful adult roles. He believes that the business of America is business, and that schools and educational settings should provide students with the chance to explore scenarios, decide on their interests, and train to their potential. He believes that a way to break negative and unproductive attitudes and behaviors as seen in many of today's youth is to provide better, more productive roles with clearly defined rewards to which they can decide to "buy in". Communities and their schools need strong leadership and a shared vision to accomplish this, and Ronald's goal is to pursue this path of leadership and vision.